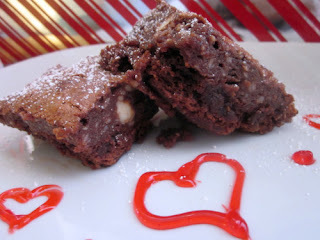 A Valentine’s Day dessert – and the winner of my latest giveaway! Frank and I aren’t big on Valentine’s Day. I’ve always made a more “special” meal at home, we exchange cards…that’s about it. The few times I’ve been out on the Hallmark holiday have resulted in rushed service, overpaying for mediocre food, or something equally as dreadful. Just not worth it. I’m not sure exactly when I’ll be serving our Valentine’s meal this time around – probably over the weekend – but it’ll include a few of Frank’s very favorite dishes (stay tuned!). In the meantime, check out this decadent dessert that I made in advance…there’s plenty of time for you to run out and get the ingredients, if you don’t already have them in your pantry. The star of the show – Nutella. Drool. Before I give you the recipe, I need to announce the winner of my latest giveaway! Congratulations to Harriet! She wins the prize 🙂 Harriet, you have 48 hours to respond to my email, otherwise I will conduct another random selection. In one bowl, beat all the brownie ingredients together. In a separate bowl, beat together all of the Nutella cheesecake ingredients. Scrape the brownie batter into the bottom of an 8×8 pan (yes, it will be quite full. these are thick brownies!) Spoon little plops of the Nutella cheesecake all over the top of the brownie batter. Smooth the cheesecake carefully and completely over the brownie layer with a spatula. Bake in an oven preheated to 350 degrees and bake for 50-55 minutes. The center of the brownies will be set, but if you poke a toothpick into them, it won’t come out dry. It’s okay…the cheesecake layer needs to cool completely to set up. 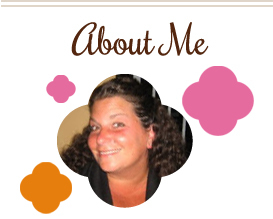 This entry was posted in chocolate, cream cheese, dessert, giveaway, Nutella. Bookmark the permalink. 4 Responses to A Valentine’s Day dessert – and the winner of my latest giveaway! We went out to dinner on Valentine’s Day once. Never again. Like going out to brunch on Mother’s Day, the line was horrible, service was terrible, and the food was just ok.
Those brownies sound like a delicious Valentines treat! I’m a big fan of the homemade V-Day idea…especially if it involves nutella. These brownies look AMAZING. Thanks so much for linking to THIS WEEK’S CRAVINGS “CHOCOLATE”, we are already enjoying over 100 recipes, so make sure to stop back by and see them all. It’s gonna be one SWEET week!